A Walter UTA100E Dividing Head No.3753 with Tailstock: 4in 3 jaw chuck, 4.5in centre height. Unfortunately, your registration has been declined by the auctioneer. You can contact the auctioneer on 0161 839 6409 for more information. You are the current highest bidder! To be sure to win, come back on 09 May 2018 12:48 BST Date Format as the lot closes or increase your max bid. Please note as a consequence of the sale of the premises, all lots will be uplifted to storage immediately following the view day. All goods can be cleared by appointment between Monday 14th and Friday 25th May 2018 from The Storage Place, Cheshire, SK14 4QN. All lots will be loaded onto purchaser’s vehicles free of charge. At: Unit 3, Burnsall Road Industrial Estate, Coventry, UK, CV5 6BU. Viewing: Friday 4th May 2018 between 9.30am and 4.00pm. Sale closes: Wednesday 9th May 2018 from 12.00 noon. “Auction” any auction conducted pursuant to these General Conditions. “Auctioneer” the person conducting the Auction or to whom the conduct of the Auction is delegated under clause 4.10 below. “Bidder” any person who offers to purchase any Lot whether by bidding at Auction/Online Auction or offering to purchase by private treaty or tender. “Bid” offer to purchase any Lot whether by bidding at Auction or offering to purchase by private treaty or tender, and “Bids” and “Bidding” shall be construed accordingly. “Buyer” any person who agrees to purchase any Lot whether at Auction or by private treaty or tender. “Catalogue” the catalogue incorporating these General Conditions. “The Company” Wignall Brownlow LLP whose registered office is at 334 Deansgate, Manchester, UK, M3 4LY. “Location” the premises at which the Lots are located, details of which are set out in the Special Conditions. “Lot” any Lot described in the Catalogue or the Company’s invoice. “Seller” the person upon whose instructions the Company is conducting the sale, details of whom are set out in the Special Conditions. “Special Conditions” the Special Conditions set out or referred to in the Catalogue, announced at Auction or otherwise specified by the Company. 2.1 These General Conditions apply to every sale of plant and machinery, chattels and trade stocks conducted by the Company whether by Auction, private treaty or tender including all Lots described in the Catalogue or the Company’s invoice. 2.2 Bidding for any Lot shall be deemed to be an acceptance by the Bidder of these General Conditions and the Special Conditions. 2.2 To the extent that these General Conditions are inconsistent with any Special Conditions, the Special Conditions shall prevail. (b) Northern Ireland in which case the laws of Northern Ireland shall apply. 3.1 The Company offers each Lot as agent of the Seller and not as principal unless otherwise indicated in the Catalogue. 3.2 The identity of the Seller is set out in the Special Conditions. 3.3 Unless the Company has previously acknowledged in writing that the Bidder Bids as agent on behalf of a named principal, every Bidder shall be taken to Bid on his own behalf as principal. 3.4 Any Bidder acting as agent on behalf of a named principal shall remain liable to the Seller and the Company for all obligations and liabilities of his principal. The Bidder warrants that he has the authority of his principal to make each Bid made. 3.5 Every Bidder is required to give his name and address and provide satisfactory proof of identity to the Company before making any Bid. 4.1 Any Lot may be subject to a reserve price. 4.2 The Seller or his representative or the Company on his behalf may Bid for any Lot. 4.3 The Auctioneer may at any time before the fall of the hammer withdraw or divide any Lot or combine any Lots. 4.4 The Company may sell any Lot by private sale before or after the Auction. 4.5 The Auctioneer may reject any Bid at his sole discretion and without being required to give a reason. 4.6 No Bid shall be retracted without the consent of the Auctioneer. 4.7 The Buyer shall be the person who made the highest Bid before the fall of the hammer or such other Bidder as the Auctioneer may declare to be the Buyer without being required to give a reason. 4.8 The Auctioneer may decide whether there is a dispute between Bidders, may summarily determine the dispute or immediately again offer the Lot for sale, in each case without being required to give a reason. 4.9 The Auctioneer shall in every other respect decide how the Auction is to be conducted and without being required to give a reason. 4.10 The Auctioneer may in his sole discretion delegate to a person whom he believes to be competent the conduct of the Auction in accordance with these General Conditions. 4.11 The Buyer may not remove any Lot he has bought until after the end of the Auction. (c) any other payment or amount due to the Seller and/or the Company pursuant to these General Conditions or the Special Conditions on demand. 5.2 In every case time for payment shall be of the essence. 5.3 In view of Money Laundering Regulations the Company reserves the right to refuse payment in cash. Payments in cash of more than £5,000 will not, in any circumstances, be accepted. 5.4 If the Buyer fails to make any payment on the due date for payment then, without limiting any other right or remedy available to the Seller, the Buyer shall pay to the Company interest (both before and after any judgment) on the amount unpaid at the rate of 1.5% per month or any part thereof until payment in full is made. Furthermore, recovery of the debt will be passed to our debt collection agency, Sinclair Goldberg Price Limited. All outstanding accounts, without exception, will be subject to a surcharge of 15% +VAT over and above those referred to above to cover Sinclair Goldberg Price’s cost of recovery. The accounts will also be subject to any legal costs incurred in obtaining settlement. (c) if the Buyer effects or purports to effect a resale or any other disposition of all or part of the Lot, the Buyer shall hold the proceeds of resale or other disposition on trust for the Seller. 5.6 All prices are exclusive of any applicable value added tax for which the Buyer shall be additionally liable to pay to the Company. On written request by the Buyer the Company will provide a VAT invoice. 6.1 Risk of damage to or loss of the Lot shall pass to the Buyer immediately upon the sale being agreed, which, in the case of an Auction, is upon the fall of the hammer. In no circumstances will the Company or the Seller be responsible if any Lots or part thereof be lost, stolen, damaged or destroyed after the Buyer is declared. (b) if requested by the Company produced evidence satisfactory to the Company that the Buyer has adequate public liability insurance in respect of the indemnity set out in General Condition 6.6 and/or deposited with the Company, by way of security for the costs of making good any damage likely to occur, such sum as the Company may stipulate. 6.3 (a) The Buyer must remove each Lot purchased by the time and/or date specified in the Special Conditions for which time shall be of the essence. Lots may only be removed during normal working hours or such hours as are specified in the Special Conditions. (b) Buyers should co-operate regarding order of removal in order to comply with the clearance date. 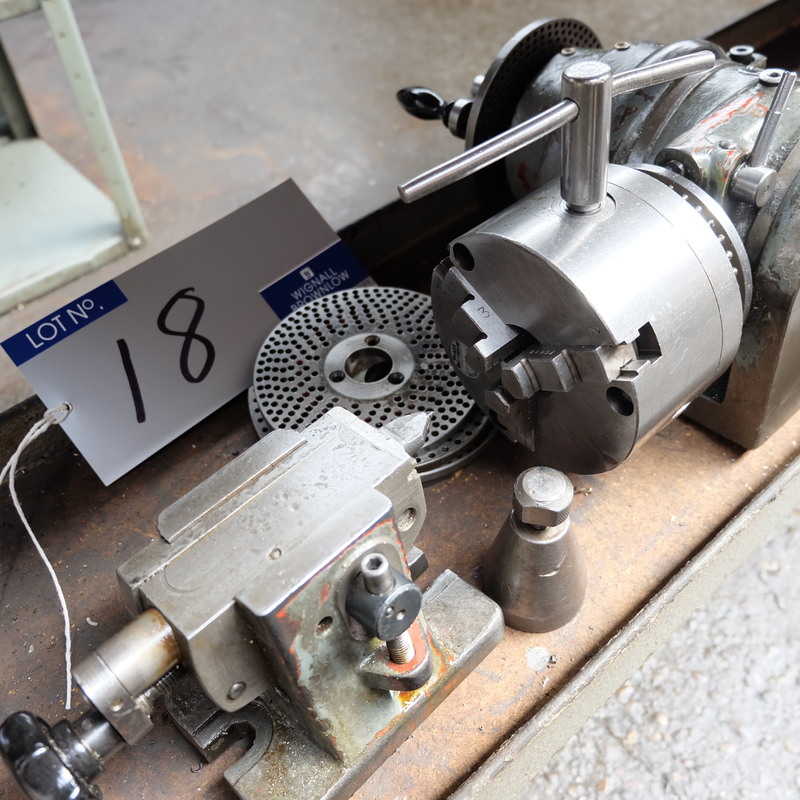 If it transpires that a purchaser makes no effort to commence dismantling and the particular item of plant is preventing other buyers from removing equipment, then the Auctioneer reserves the right to insist that removal take place immediately notwithstanding the final clearance date. If in the event the purchaser does not comply, then the Auctioneer reserves the right to arrange for the removal of the lot or lots and charge any attendant costs to the purchaser. (c) If any lot or item is unsold and has to be dismantled & lowered to allow the removal of any other lot, then such dismantling & lowering shall be the responsibility of the purchaser of the relevant Lot(s) or Item(s). 6.4 It is expressly brought to the Buyer’s attention that certain Lots could contain blue or white asbestos, dangerous chemicals etc which if not handled correctly during their removal could result in breach of Health & Safety at Work legislation and/or Control of Substances Hazardous to Health Regulations or other statutory requirements. (b) Compliance with Laws, Regulations and Planning: Purchasers or their Removal Contractors are responsible for applying for relevant planning permissions (if appropriate) with reference to the removal of building structures and plant housings. Purchasers or their Contractors shall at all times comply with all orders, regulations, requirements and rules of any authority whether Parliamentary, statutory, parochial or local and in particular shall comply with all requirements applicable to the employment by them of labour or otherwise affecting the work. The Purchasers or their Contractors shall in addition and without prejudice to the generality of the foregoing conform to the regulations and bye-laws of local authorities and shall pay all fees and charges arising under the said regulations and bye-laws in respect of the Work. It is the purchaser’s or their removal contractors responsibility (i.e. Police, Ministry of Transport, Local Authority) to transport off site long/wide loads, within sufficient time prior to the commencement of clearance period as stated in the Special Notes & Conditions. 6.6 The Buyer shall indemnify the Company and the Seller against any loss damages, expenses, claims or liabilities arising directly or indirectly from the detaching of any Lot fixed to land or buildings and/or its removal including (without prejudice to the generality of the foregoing) any damage caused to other Lots, the Location or to any third party. 7.1 If at any time the Buyer has failed to pay the sums specified in clause 5 above in full by the due date for payment, or to remove any Lot purchased by the time or date specified in the Special Conditions the Seller may rescind the sale of that Lot, in which case any deposit shall be forfeit, and that Lot may be resold. 7.2 If the Seller has rescinded the sale but the Buyer has removed the Lot purchased, the Seller shall be entitled without previous notice to enter upon any premises where he believes the Lot to be and remove it. (c) the Buyer shall indemnify the Seller against any loss, damages, expenses, claims or liabilities incurred by the Seller arising from the Buyer’s failure to remove the Lot from the Location. 7.5 In the event of default, recovery of the debt will be passed to our debt collection agency, Sinclair Goldberg Price Limited. All outstanding accounts, without exception, will be subject to a surcharge of 15% +VAT over and above those referred to in clause 5 to cover Sinclair Goldberg Price’s cost of recovery. The accounts will also be subject to any legal costs incurred in obtaining settlement. 8.1 The Buyer acknowledges that in agreeing to purchase any Lot he is not relying on any warranties or representations made by the Seller or the Company or any of their employee’s, agents or representatives. All representations, warranties and conditions, express or implied, statutory or otherwise in respect of all and any of the Lots are expressly excluded (without limitation any warranties and conditions as to title, quiet possession, satisfactory quality, fitness for purpose and description). 8.2 The Buyer further acknowledges that neither the Sellers nor the Company shall in any circumstances be liable to or to compensate the Buyer nor shall the Buyer be entitled to rescind the sale or reject any Lot for an error omission or misstatement contained in the Catalogue. (c) anything found in under near or in any Lot which is not specifically included in the description of the Lot remains the property of the Seller. 8.4 The Buyer undertakes that it shall ensure that any vehicle comprised in any Lot is in a roadworthy condition in accordance with the Road Vehicle (Construction and Use) Regulations 1986 before using it on a public road and the Buyer acknowledges that any item of plant, machinery or equipment contained in the Lot(s) may not necessarily comply with any statutory requirements or regulations governing the use of that plant, machinery or equipment in their working environment. Neither the Seller nor the Company shall incur any liability to the Buyer because of any default or defect in all or any of the Lots. Buyers are entirely responsible for ensuring that the use of any item of plant, machinery or equipment does not contravene any statutory requirements or regulations. 8.5 The Buyer acknowledges and agrees that the Company is acting only as agent of the Seller and it is expressly agreed and declared that no personal liability in connection with the sale of any Lot or otherwise shall fall on the Company and the Buyer shall indemnify the Company against all and any liabilities arising under or in connection with the sale of any Lot. (c) the Buyer has been given every opportunity which might reasonably be expected to examine and inspect the Lots. (d) Without limitation to the generality of the foregoing, the provisions of Sections 13, 14 and 15 of the Sale of Goods Act 1893 as amended by the Sale of Goods and Supply of Services Act, 1980 shall not apply. 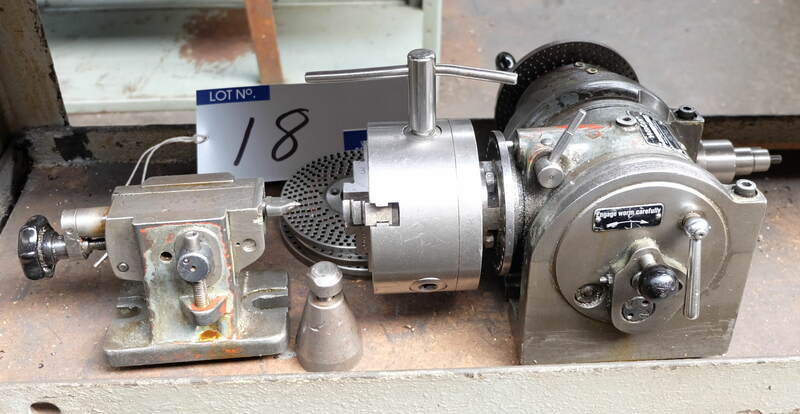 Seller: On the instructions of Ramsay Precision Engineers Limited due to relocation. Location: Unit 3, Burnsall Road, Industrial Estate, Coventry, UK, CV5 6BU. Please note as a consequence of the sale of the premises, all lots will be uplifted to storage immediately following the view day. All goods can be cleared by appointment between Monday 14th & Friday 25th May 2018 from The Storage Place, Cheshire, SK14 4QN. All lots will be loaded onto purchaser’s vehicles free of charge. Sale: Timed Online Sale. The auction will end with a staggered closure from 12.00 noon (UK) on Wednesday 9th May 2018. The staggered closure means that lots will begin to close progressively in numerical order from 12.00 noon. Additionally, this auction has auto bid extension enabled. If a bid is placed on a lot within 10 minutes of the scheduled auction end, the auction end time for that lot will automatically extend by an additional 10 minutes. This continues with the new scheduled end time until there are no further bids placed on the lot before the auction bidding deadline. Every time a bid is placed on a lot with 10 minutes or less left on the auction an additional 10 minutes bidding time is added to that particular lot until there are no more bids. Viewing: On Friday 4th May 2018 between 9.30am & 4.00pm. Access to the locations is allowed on the understanding that viewers attend the Locations entirely at their own risk and are responsible for and will indemnify the Seller and the Company against any losses damage or claims occasioned by their presence at the Locations. The Company reserves the right in their absolute discretion to refuse admission to the sites to any person. Children under the age of 16 will not be allowed access to the Locations. Registrations: All bidders must register their details on www.bidspotter.co.uk. Please ensure that the registration form is completed in full as failure to do so will mean that you will not receive approval to bid. ALL PURCHASE INVOICES WILL BE RAISED USING THE DETAILS PROVIDED AT THE TIME OF REGISTERING TO BID. PLEASE ENSURE THAT YOU REGISTER IN THE NAME OF THE PARTY TO WHOM THE INVOICE IS TO BE ADDRESSED. ANY RE-ADDRESSING OR AMENDING OF INVOICES WILL INCUR AN ADMINISTRATION CHARGE OF £50+VAT. ONLINE BIDDING REQUIRES A £500 REFUNDABLE DEPOSIT BEFORE YOU WILL BE APPROVED TO BID, WITH THE EXCEPTION OF OVERSEAS BUYERS (see below). Deposits must be paid 48 hours prior to the commencement of the sale and must be made by either CHAPS transfer or BACS transfer into Wignall Brownlow’s Clients account, as detailed below. The transfer order should clearly state the depositors name/company and indicate which sale the deposit relates to. A copy of the instruction to transfer monies should be faxed to Wignall Brownlow (fax no. 0161 839 5290). We do not accept credit cards as a method of payment. It is preferable to register at least 24 hours before the sale is due to finish. PLEASE MAKE A NOTE OF YOUR USERNAME & PASSWORD WHEN REGISTERING AS THEY WILL BE REQUIRED TO ALLOW YOU TO BID FOLLOWING APPROVAL. Please note that bidder approval is not automatic and is reliant on us dealing with your application during office hours (assuming we have received your deposit as mentioned above). We will review your bidder request as soon as possible. Any questions please ring Jeff Wignall or Jonathan Brownlow on 0044 (0) 161 839 6409. Overseas Buyers are required to make a deposit £2,500 into Wignall Brownlow’s bank account before receiving approval to bid. THERE WILL BE NO EXCEPTION TO THIS, PERMISSION TO BID WILL BE WITHDRAWN IF SUCH A DEPOSIT IS NOT MADE. Please note an administration fee of £150+VAT will be charged to all overseas buyers including buyers based in Ireland. Online Bidding: The Internet is not foolproof and a number of factors such as speed of modem, traffic, telephone line and human error may affect how the sale is viewed. Wignall Brownlow LLP will not be held liable in the event of any dispute due to errors, omissions, disruptions or power failures which may occur when bidding online. Lot descriptions will be amended as appropriate as and when information becomes available. It is highly recommended that prospective purchasers read lot descriptions before every bid so that they are fully aware of any amendments/conditions of sale relating to that particular lot. We refer you to our General Terms & Conditions which apply to all sales and stress that you read and understand Bidspotter’s terms and conditions of registration. Buyers Premium: Online bidders will pay a premium of 16% (see www.bidspotter.co.uk for more information). The premium is not negotiable and is payable by all Buyers. The Auctioneer, when acting as Agent for the Seller, may also receive commission from the Seller. Payment: All monies must be paid in accordance with the terms and conditions. Lots may only be collected upon receipt of cleared funds. (ii) Cash - In view of Money Laundering Regulations the Company reserves the right to refuse payment in cash. Payments in cash of more than £5,000 will not, in any circumstances, be accepted. (iii) Bankers Draft : made payable to Wignall Brownlow. (iv) Cheques: cheques will not be accepted unless supported by a cheque guarantee card. (v) Credit Cards: Credit or debit cards will not be accepted. Deposits: The Company reserves the right to request a deposit to be paid. Clearance: Please note as a consequence of the sale of the premises, all lots will be uplifted to storage immediately following the view day. All goods can be cleared by appointment between Monday 14th & Friday 25th May 2018 from The Storage Place, Cheshire, SK14 4QN. All lots will be loaded onto purchaser’s vehicles free of charge. Clearance of all lots must be undertaken in accordance with current Safety, Health & Welfare at Work (General Application) Regulations 2007 (S.I. No 2999 of 2007). The Buyer may have to provide a “method statement” and/or “risk assessment” approved by the Company prior to the removal of any lots. The Company reserve the right to halt clearance if it is being carried out in an unsafe manner or without an approved “method statement” and/or “risk assessment”. Electrical disconnections from the mains supply are the responsibility of the Buyer and MUST be carried out by an approved electrician. Any fluids and/or waste remaining in plant and machinery are the responsibility of the Buyer and MUST be removed from the Location strictly in accordance with the current regulations. The use of lifting equipment and transportation should be covered by the appropriate insurance, certification and user licence. Such documentation must be produced to the Company by the Buyer upon request. Risk: The Bidder is on risk once the offers are accepted and is strongly advised to effect insurance at once. Transfer of Lots: The Company will only accept payment from and permit removal of Lots purchased by the Buyer or its agents. Value Added Tax: Purchasers will be charged Value Added Tax at the current rates on the amount of their purchases and the buyers premium. The motor cars do not attract VAT on the purchase price but do on the buyers premium. Likewise, a small number of lots are being sold that do not attract VAT on the purchase price but do on the buyers premium. Furniture and Furnishings: All Lots are sold on the understanding that the Seller does not represent them as being in a condition which makes them suitable for domestic use. The Buyer is reminded that if any Lots are intended for domestic use the Buyer must ensure that they comply with the requirements of the current Fire Safety Regulations. At the end of the online auction final bid figures will be submitted to our clients for approval. Any lot may be subject to a reserve price. No offer may be withdrawn and the vendor/agent does not bind himself to accept the highest or any offer/bid. All lots shall be paid for in full within 24 hours of the invoice date and shall be at the purchasers risk from the date of invoice. Clearance will be strictly by appointment, to be arranged by/with Wignall Brownlow. The whole of the lots must be cleared and taken away, without fail, at the purchasers’ expense in such order as the Agents or their representatives shall direct not later than the time stated in the Notice to Purchasers after which time any lot or lots remaining on the premises will be liable for rent, taxes, men’s wages, and expenses and will also be liable to be removed from the premises and left outside at the purchaser’s risk in all respects. If any purchaser shall make default in payment of his purchase money or neglect to comply with these conditions or any of them, all money paid by him or his agents at the time of sale shall be forfeited to the Vendors who shall be at liberty to re-sell the lot or lots at such time or times as they may think proper and without notice to the party or parties making default either by public sale or private contract and the deficiency (if any) occasioned by such re-sale together with all expenses attending the same shall immediately be paid by the purchaser or purchasers making default or neglecting to comply with these conditions and in case of non-payment hereof the same shall be recoverable as and for liquidated damages. Furthermore, recovery of the debt will be passed to our debt collection agency, Sinclair Goldberg Price Limited. All outstanding accounts, without exception will be subject to a surcharge of 15% +VAT over and above those referred to above to cover Sinclair Goldberg Price’s cost of recovery. The accounts will also be subject to any legal costs incurred in obtaining settlement. In the event that the auctioneer unknowingly sells an item or items that were not eligible for sale (i.e. there is a third party interest that comes to light) then the auctioneer shall be entitled to rescind that sale. Software: Title to computer software is not transferred and use is subject to any licence or copyright restrictions and user conditions. The Vendors/Agents/Auctioneers reserve the right to erase any private or sensitive information prior to delivery or at any later date. Pipework: Disconnect as marked or as directed. Electric Cable: Electric cable is not included with the sale of any lots unless otherwise indicated. All electric motors and machinery must be disconnected from the machine side of the isolator switch which must be left with the buildings. Fire Alarm: In case of a fire alarm all visitors and contractors are to exit buildings and report to the Muster Point. Smoking: No smoking on site. Food and Drink is only to be consumed in designated areas. Safety: All visitors and contractors are reminded that they are responsible for their own safety on site and enter at their own risk and should take the precaution of wearing protective clothing as appropriate. Purchasers should be aware of the above and comply as appropriate. It is also important that all purchasers/contractors comply with site rules, site procedures and Safety, Health and Welfare Regulations. Unless specifically excluded purchasers of lots will be required to make good holes or voids exposed by the removal of lots. Cladding taken off buildings for removal of plant & equipment will have to be replaced, unless otherwise specified by the Auctioneer. Purchase of Goods using a Finance Company: If Buyers wish to purchase goods with the help of a finance company they should make arrangements well in advance of the Sale to ensure that they are able to make payment in accordance with the conditions of sale. Any re-invoicing to Finance Companies will incur an administration charge of £150+VAT. • has no prolonged inspection procedure which might cause excess delay in allowing your goods to be imported. Overseas Buyers should read the conditions of Sale. (a) The Company cannot allow removal of any Lot until their Accounts Department has received notification from their banker that the Buyer’s payment has been properly cleared in full. Monies must be transferred to the Company within the time stated in the “Conditions of Sale”. (b) If there are any special arrangements that the Buyer wishes to make with the Company, the Buyer must contact the Company at least three days before the Sale Closing date. VAT Payments and Returns: All overseas Buyers (EU and non EU) will be charged VAT at the current rate on each Lot purchased. This will be refunded to the overseas Buyer as soon as the Company receives a copy of the bill of lading as proof of export, provided this documentation is received within 1 month of the sale date. No exceptions will be made to this, VAT MUST BE PAID IN FULL. The Company is unable to refund the VAT on the Buyer’s Premium. Misrepresentation: Whilst every effort has been made to provide reliable information, Wignall Brownlow LLP do not warrant the information contained herein and prospective purchasers must satisfy themselves by inspection as to its correctness. PLEASE NOTE: We must remind potential purchasers of the terms and conditions relating to the sale and that it is their responsibility to check the suitability or otherwise of lots for the purpose for which they are required. Likewise, parties should satisfy themselves as the functionality and condition of lots. The opportunity to do so is provided on the view day and NO allowance or refunds will be made in the event that purchasers subsequently discover that the goods are not suitable for their needs or the functionality/condition is not as expected or anticipated. Potential purchasers who choose not to inspect lots prior to bidding on them do so at their own risk. REFUNDS: In certain circumstances, if goods are found to be faulty or defective we MAY consider cancelling the sale of an individual lot. However, the circumstances in which this might be considered is limited to prior to the removal of lots. If a purchaser believes there is an issue with a lot this must be raised at the time of collecting the goods. IN NO CIRCUMSTANCES WILL REFUNDS BE CONSIDERED IF THE GOODS HAVE BEEN REMOVED FROM THE SALE SITE. Any refunds given will be as a gesture of goodwill rather than acceptance of liability for any faults or defects with lots purchased. We accept no liability for any losses suffered as a consequence of any lots being faulty or defective. Disclaimer: Unless otherwise required by law (and then only to that extent) the Vendors and Wignall Brownlow LLP and each of them shall not be liable for any loss or damage of any kind whatever, consequential or otherwise directly or indirectly arising out of or due to or caused by any defect or deficiencies in any of the equipment or stock included in this sale.